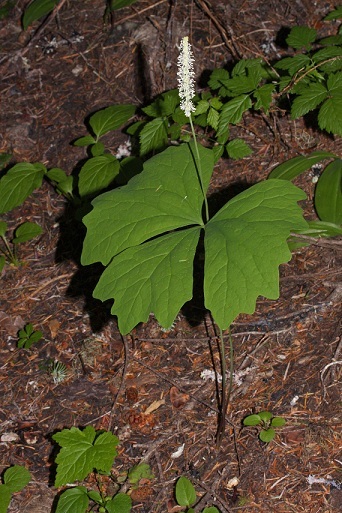 A beautiful plant that spreads quickly by rhizomes to carpet the shady understory. The large, clover like leaves have fluttering scallops along the edges. Tiny white flowers form on the on thin, erect stalks. Dried leaves smell heavenly, like vanilla, and are said to repel insects. They remain on the plant as "skeletons" throughout the winter and are as delicate as fairy wings. Vanilla Leaf is found from BC to northern California and is hardy from USDA zones 7-9. 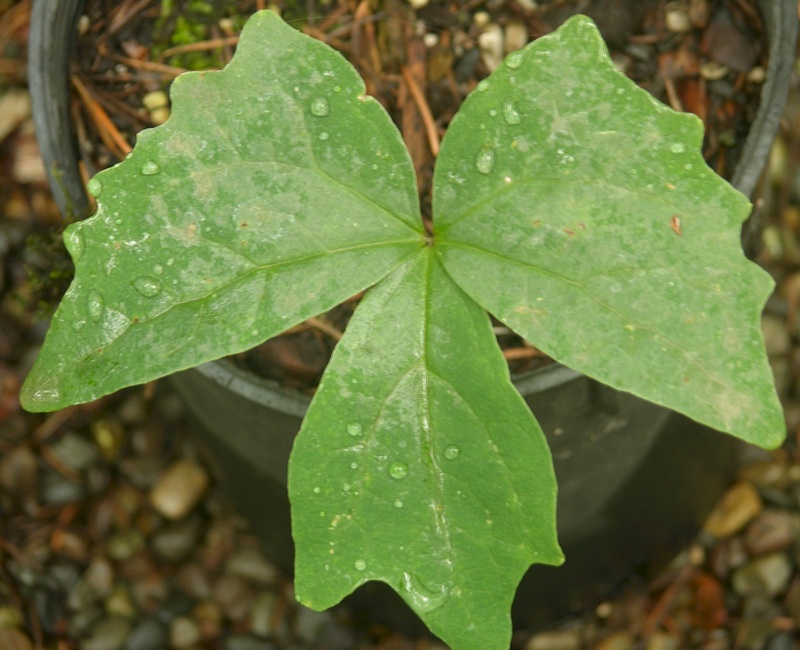 It prefers shaded, moist sites with some shade. 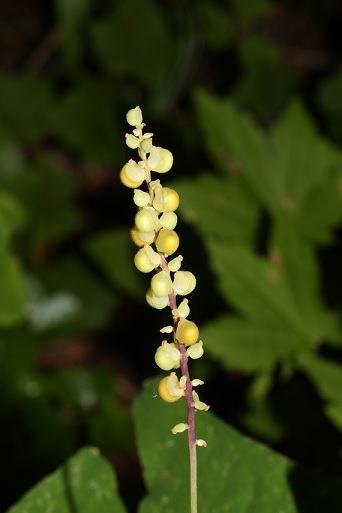 It is an excellent companion to the delicate Lady fern (Athyrium filix-femina), and fits perfectly in the understory of Thimbleberry or Salmonberry (Rubus parvifloris or spectabilis) or even the Western Azalea (Rhododendron occidentale). Photos at right courtesy of Walter Siegmund.